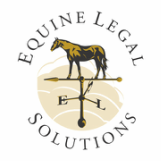 Because we are an equine law firm, owners of many horse-related businesses ask Equine Legal Solutions (ELS) about the potential benefits of incorporating their business. Frequently, they are inspired to ask after hearing a friend’s horror story about losing their savings, truck, horses and other personal assets due to a horse business setback. Many equine business owners who ask us about incorporation are under the impression that incorporating is expensive and that courts will “pierce the corporate veil” if they are sued. However, incorporating is typically relatively simple and inexpensive. Courts will usually recognize the sanctity of a corporate entity if the entity is adequately capitalized (i.e., has assets) and simple corporate governance procedures (issuing stock, appointing officers and directors) have been followed. In fact, along with insurance and contracts, incorporating your horse-related business is one of the most important steps you can take to minimize risk. Incorporation is the legal mechanism you need to separate your family’s assets (house, bank accounts, truck, horses) from your business-related assets. For example, if you teach riding lessons and operate your lesson business as a sole proprietorship (which most riding instructors do), a single accident could put your house and life savings at risk. Once you have decided to form an entity for your business, the next question is what kind of entity. Many of ELS’ clients come to us ready to form a limited liability company (LLC), but often, the only reason they have selected an LLC is because the name sounds like what they want an entity to do. However, there are several different choices for entity structures, and each has pros and cons. If there is no formal structure for your business and you are its sole investor and operator, your business is a sole proprietorship. Running your business as a sole proprietorship is extremely risky because you have unlimited personal liability for the business’ debts. Other than the lack of effort required to create a sole proprietorship, there is no benefit to running a business as a sole proprietorship. Like many horse property owners, you may help defray the cost of your horse expenses by taking in a few boarders on your family farm. What you may not realize is that in the eyes of the law, if you accept compensation (cash or something in trade) for boarding (no matter how little), you are running a business, even if you don’t make a profit. And, from the perspective of your homeowners’ insurance, your boarding operation may be considered a commercial enterprise and therefore not covered by your homeowners’ policy. Running a business on your property also creates a much higher standard for safety than you would otherwise have for guests, which means you are more likely to be sued if there is an accident on your property. If you have not incorporated your boarding business, all of your family’s assets are at risk, just for boarding a few horses. For example, if a boarder’s horse trips in a low spot in your arena and the boarder falls off and is seriously injured, the boarder may sue you and your family, which could result in the loss of your farm. A partnership, whether formal or informal, is even more risky than a sole proprietorship. In a partnership situation, each partner has unlimited personal liability for the actions of his or her partners. Even when the partners never had a written agreement, the law can find that a partnership exists. For example, the Uniform Partnership Act (UPA) recognizes a partnership based upon the parties’ actions, and the intent to operate a business together for profit. An informal partnership can have unintended consequences, because the UPA provides for certain rights and responsibilities, including a dissociation process where a partner who wants to withdraw from the partnership can force the remaining partners to purchase his interest. Because so many horse businesses are cash-poor, having to buy out a partner could be an especially disastrous consequence for an equine business owner. Many “investment horses” are operated by an informal partnership. Frequently, one partner has the money to buy and maintain the horse, and the other partner has the skills and time to train and campaign the horse. However, the partners seldom have a written agreement or consider all of the possibilities, and this lack of foresight often leads to serious legal disputes and the end of a friendship. In most states, limited liability partnerships (LLPs) are available only for certain licensed professions, e.g., doctors and architects, so they are not usually a viable option for equine businesses. Limited liability companies (LLCs) and regular “inc” corporations each limit their investors’ personal liability to their investment in the business. Whether an LLC or a corporation is the best entity choice depends largely upon how the business is operated. For businesses run by two or more unrelated persons (e.g., a situation that would otherwise be a partnership), an LLC is typically the best structure because its operating agreement details how the company will be run. Although a corporation has bylaws covering corporate governance at a high level, such bylaws do not typically address the how the business should be operated on a daily basis or the business owners’ rights and responsibilities. In contrast, an LLC operating agreement typically covers such essential terms as how the company will be managed, how profits and losses will be allocated among investors, and what happens if an investor wants to leave the company. Running a horse-related business as a sole proprietorship or partnership is extremely risky in general, and the unpredictable nature of horses adds an extra element of risk to any horse-related business. Every day that you operate your horse-related business as anything other than a limited liability company or a corporation is a day that your family’s savings, home and other assets are at risk. Although incorporating from the beginning is best, it is never too late, even if your horse-related business has been operating for years. Most horse-related businesses operate primarily in a single state, and therefore, the best place to incorporate will almost always be that state. If you incorporate your horse-related business in one state, but run your horse-related business primarily in another state, you will have to register your business as a foreign corporation in the state where you do business. As a consequence, you will incur corporate taxes (also known as franchise taxes) in the state where you are incorporated and you will incur filing fees in the state where you register as a foreign corporation. Foreign corporation registration fees are often equivalent to what it would cost for corporate taxes in that state, so there is no real savings to be had by incorporating in a state with low franchise taxes. Only if you are a large, national business does it make sense to incorporate in a state with particularly strong corporate law, such as Delaware, and then register as a foreign corporation in the states where your business operates. The Yellow Pages and Internet offer a bewildering array of services available to incorporate your horse-related business. How should you choose among service providers? As a technical matter, incorporation is typically as simple as filing a one-page document (articles of incorporation or articles of formation) with the Secretary of State, which is how some service providers can offer to do it for a very low price. However, as in many other aspects of life, you get what you pay for. Because an entity’s governing documents determine the rights and responsibilities of its investors, a law firm intimately familiar with horse-related corporate governance issues, such as Equine Legal Solutions, can provide the appropriate and detailed governing documents to help an equine business succeed. In comparison, “corporations in a box” and services staffed by non-lawyers simply provide one size fits all forms that may or may not work for your horse-related business. For new and unincorporated businesses located in Washington, Oregon, California and New York, Equine Legal Solutions offers fixed-price incorporation packages for both LLCs and corporations. For established corporations and LLCs in these states, Equine Legal Solutions offers corporate governance advice on an hourly basis, including review of corporate governance documents. Initial 30-minute telephone consultations with equine attorney Rachel McCart are $175, payable in advance at the time you schedule your appointment. For your convenience, ELS accepts all major credit cards.